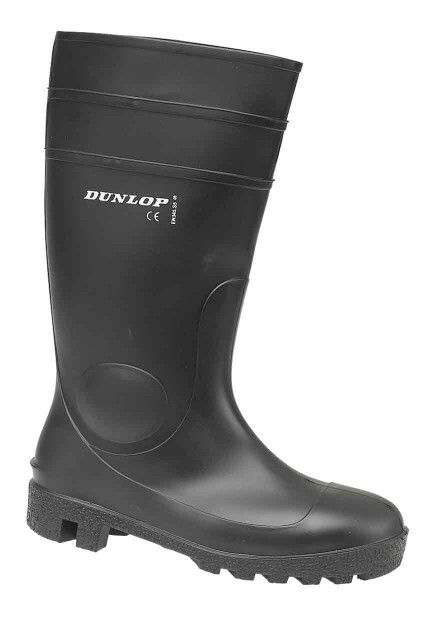 The FS1600/142PP Protomaster is a steel toe capped wellington from Dunlop’s range of safety footwear and also incorporates a protective steel midsole. It has a waterproof PVC/Nitrile construction which is tough and provides a good level of puncture-resistance against brambles and such like. It also has an energy absorbing heel which protects the joints on impact on harsh rocky ground. It is also available in green and white.